In recent years, limited liability companies, or LLCs as they are frequently known, have become one of the most popular ways for investors to structure their holdings, beating out the formerly more popular limited partnership. From families pooling their money together to Fortune 500 corporations that have subsidiaries, you may have directly or indirectly invested in an LLC without knowing it. This overview was designed to help you understand what LLCs are, why investors use them, and some of the factors you may want to take into consideration before you form an LLC or invest in one. Taxation: An LLC can elect for either corporate-level taxation or pass-through taxation. That is, you can decide to have the company pay taxes on its earnings as a regular stock corporation would, or you can have it prepare K-1 statements for each investor showing their portion of the profits and losses, which they then declare on their personal income tax filings. Member vs. Manager Operation: Instead of shareholders, LLCs have what are known as “members”. An LLC can be either “member managed” or “manager-managed”. In a member-managed limited liability company, all owners have a say in day-to-day decisions. In a manager-managed limited liability company, the members elect managers to run the business and these managers handle the daily work, often for salary and wages. Tremendous Flexibility for Profit and Loss Allocation: Profits and losses can be divided virtually any way that is compatible with tax law, unlike with a corporation where everything has to be divided pro-rata. 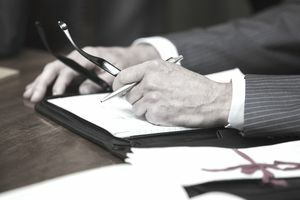 If you and your family formed an LLC to start a restaurant, you could write the contract that governed the business (known as the “operating agreement”) to meet your needs no matter how complex. Limited Liability for All Investors, Including Managers: Unlike a limited partnership, where the managers, or general partners, have personal liability for the business debts and liabilities, in a limited liability company, no one is personally on the hook unless they agree to be in a contract, such as a commercial bank loan that requires a personal guarantee from any owner of more than 20% of the LLC equity. LLCs Have Far Fewer Meeting and Paperwork Requirements: A stock corporation is generally required to file regular paperwork with the state in which the business is formed, as well as publish annual reports, have a regular board of directors meetings, and much more. A limited liability company, on the other hand, requires virtually no upkeep in comparison. Meetings can be as formal or informal as you wish, as long as everything is properly documented and you don’t treat the business as an extension of your personal assets. Cheap Formation Costs: Limited liability companies can be established for very little money. For simple LLCs among family members, this can require only a few hundred dollars. In fact, you can even use one of the several online legal services to file your paperwork, provide fill-in-the-blank operating agreements, blank limited liability company membership certificates, embossed binder, LLC seals, and more. For more information, read our New Investor's Guide to Limited Liability Companies or LLCs. You may also want to check out a legal structure known as a Limited Liability Limited Partnership, or LLLP, which is a bit different. You can also check out articles describing two special types of LLCs - the Delaware LLC and the Nevada LLC - each of which has their own advantages.